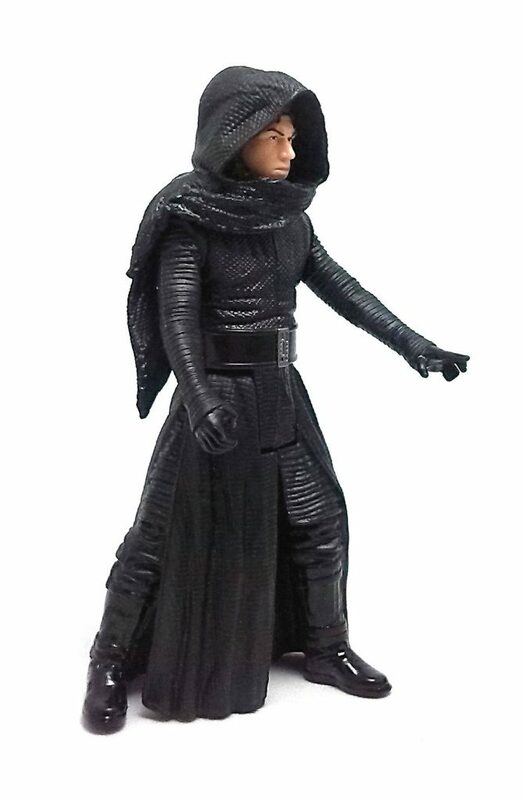 The new Kylo Ren is a completely new sculpt of the same costume design, done in a more combat-ready stance than the first version of the character. 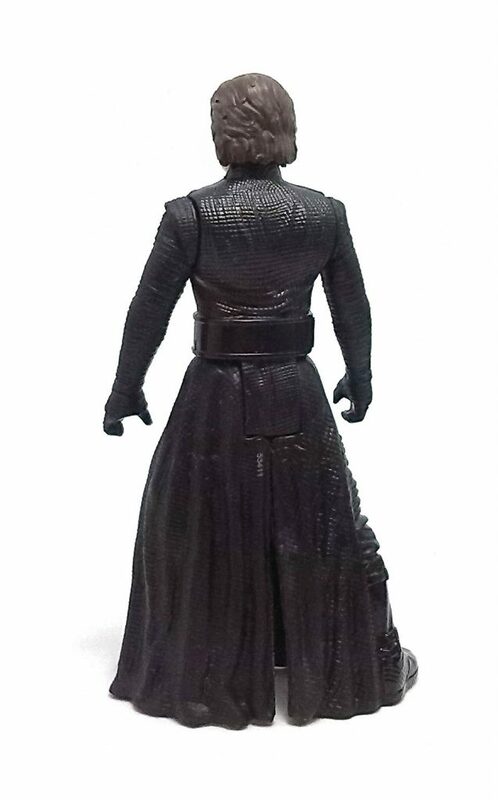 I find that this new body mold does a better job of showcasing all the textures on Kylo’s uniform and hood piece. Kylo’s unmasked face looks quite good, as an idealized portrait of actor Adam Driver. 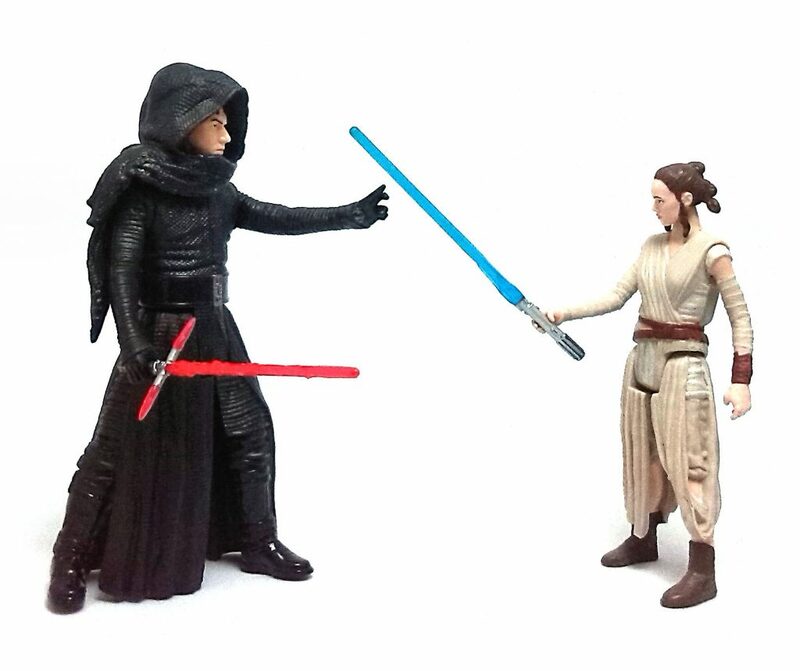 You can tell the similarities but the action figure has a slightly fuller face. One thing I like about this figure is that the size of the head works well with the overall proportions of the figure, as more often than not figures with removable headgear are designed with smaller heads to maintain a slimmer outline of character with the headgear on. 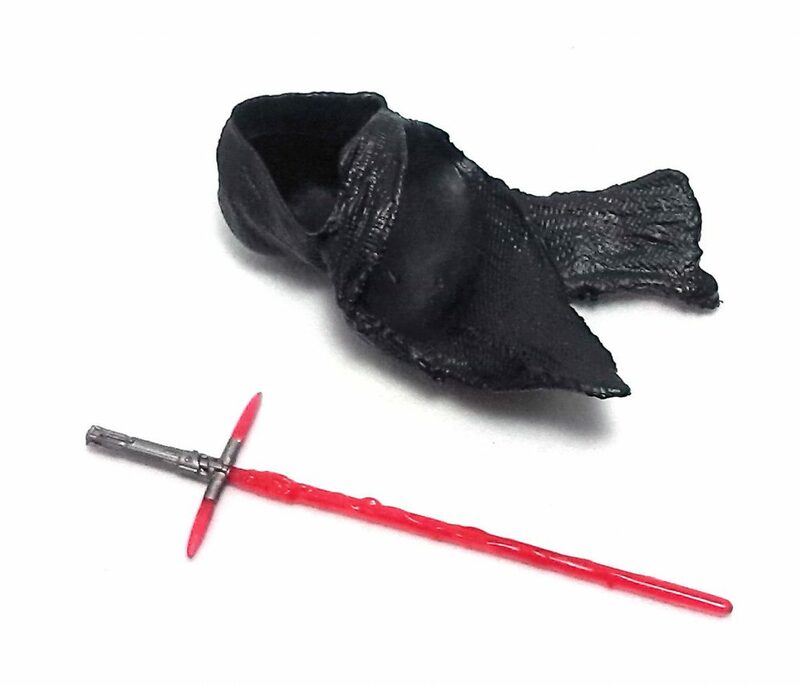 The removable hood piece is made from pliable plastic and it does not look too bulky nor restricts terribly the neck and shoulder articulation, but it definitely has a pretty defined range where poses looks more natural. 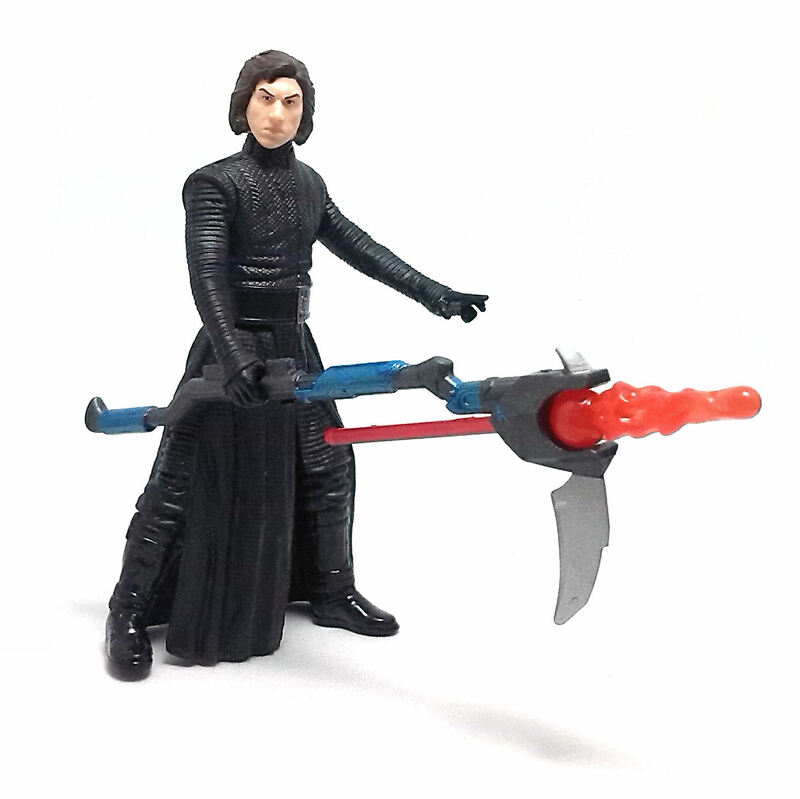 Articulation is the basic five point-scheme, of course, and the wide leg sculpt makes Kylo to be rather bottom-heavy, which works great for stability. 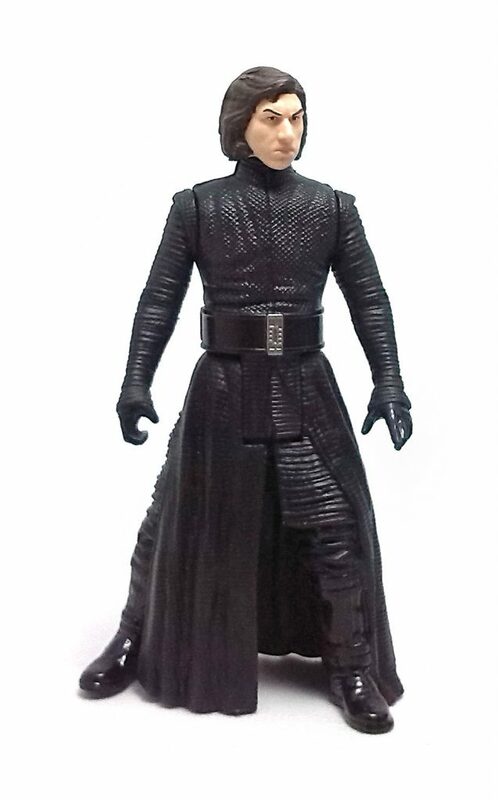 All of the paint operations are very neatly done, although there is not a lot of deco on this version of Kylo; he has gloss black painted over the boots and belt, adding a dash of gunmetal gray for the buckle and on the head, only hair and eyes are painted but the overall result is quite satisfying. Other than the hood, Kylo comes with his characteristic cross-guard lightsaber and a Build-A-Weapon piece that is meant to double as a projectile launcher and/or a scythe. 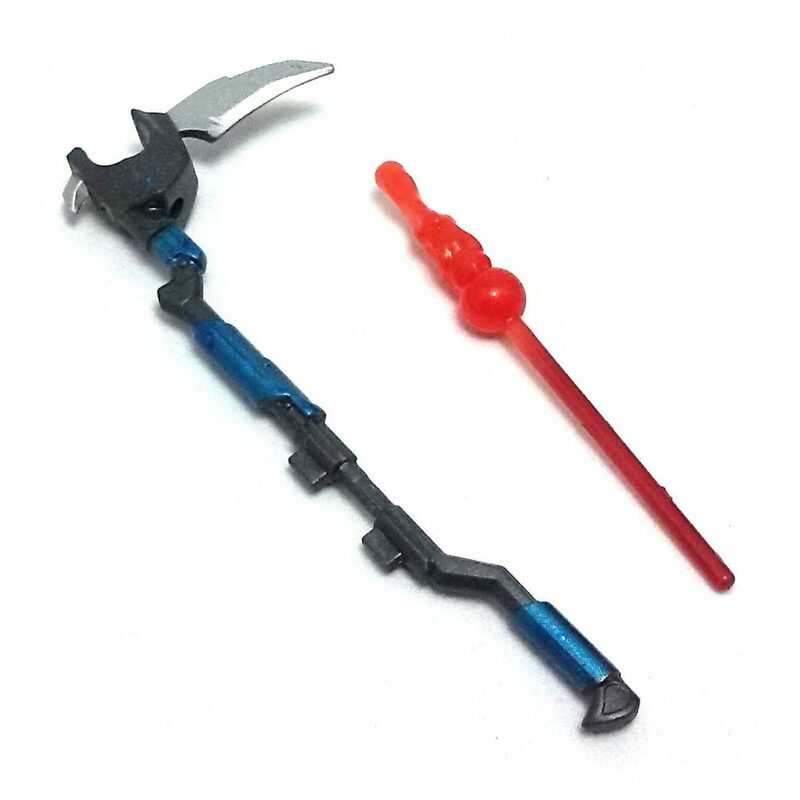 I must say that, simply as a space polearm this is one of the better BAW pieces I have seen, although it simply doesn’t work as a launcher because as you press on the end of the projectile, either the scythe’s or the bolt’s shaft bend, the shot barely popping out of the weapon. 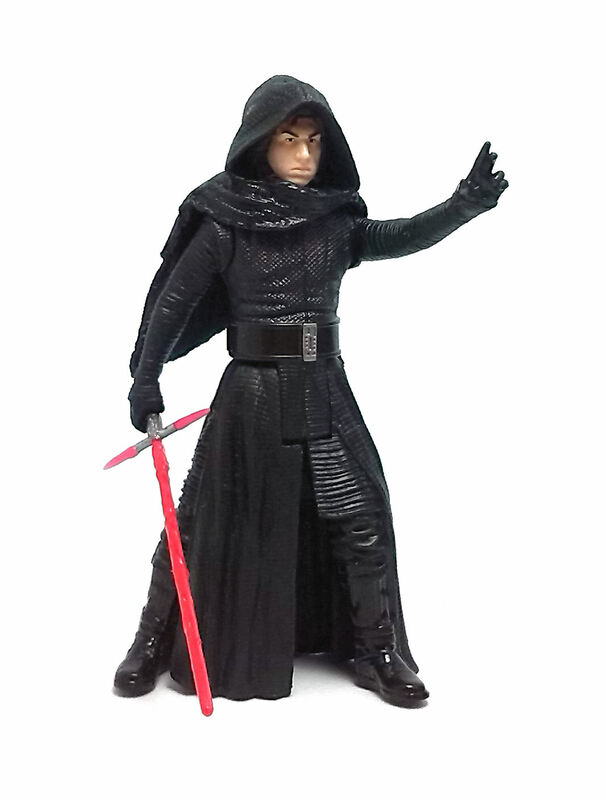 Gimmick gripes aside, I really like this version of Kylo Ren.